Bringing back endangered wildlife to rural and urban Australia is one of the significant challenges of this decade. Australia's wildlife is the 'canary in the coal mine ' and an indication of the health of our living environment. We need to reverse the current trend of species extinctions to ensure clean air, clean water and a robust biodiversity for future generations. Designing for biodiversity will help us meet this challenge by laying the foundations for a healthy, diverse and resilient environment. Sustainable biorich landscapes mimic natural environments and function like natural environments. They provide fauna and flora with all the essential elements for a sustainable ecology. Like natural environments they are diverse, they are wide enough to provide plentiful habitat for wildlife, their structural layers add safety and efficiency of foraging and their links to remnant vegetation and water enable plants and animals to interact and evolve. They provide habitat and food resources for a diversity of wildlife. 'Plant it and they will come' - native fauna will return if you provide them with what they need. Your garden or back paddock can become part of the solution to the continued loss of habitat Australia wide. A fundamental objective of sustainable biorich design is longevity. For fauna to rebuild communities their habitat must provide for all their needs and be long lasting for 200 years and beyond. 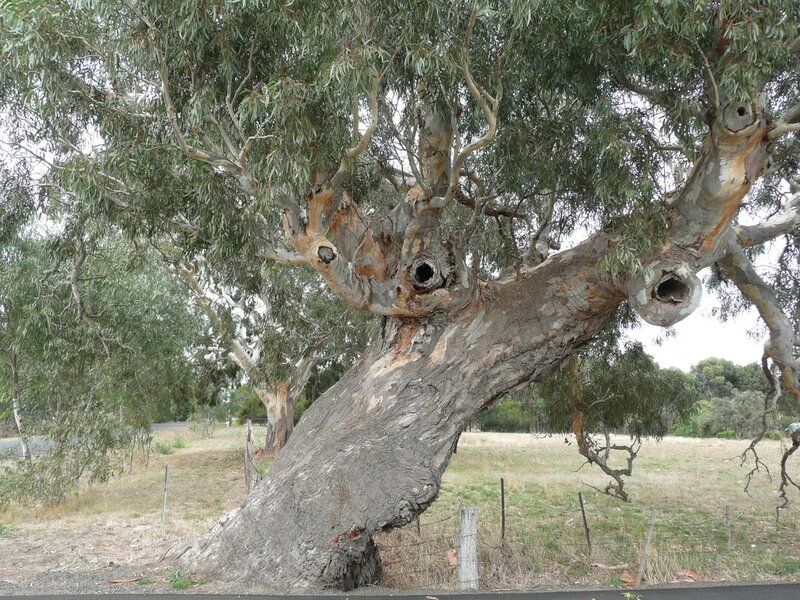 It takes 150 - 200 years for hollows to develop in old trees and these hollows are critical for over 300 species of Australian native fauna. This level of vegetation maturity in a woodland or forest is what is needed to support a variety of fauna and the environmental services they provide. This diversity of fauna is necessary to keep these ecologys functioning, healthy and resilient. ​Would you build a house for your family in a town that was dying, had few local tradespeople or shops and had no future? In these uncertain times of climate change and unparalleled species extinction, the vegetation that we put back must be good enough to replace the habitat that we are losing. This can only be achieved by mimicking nature. 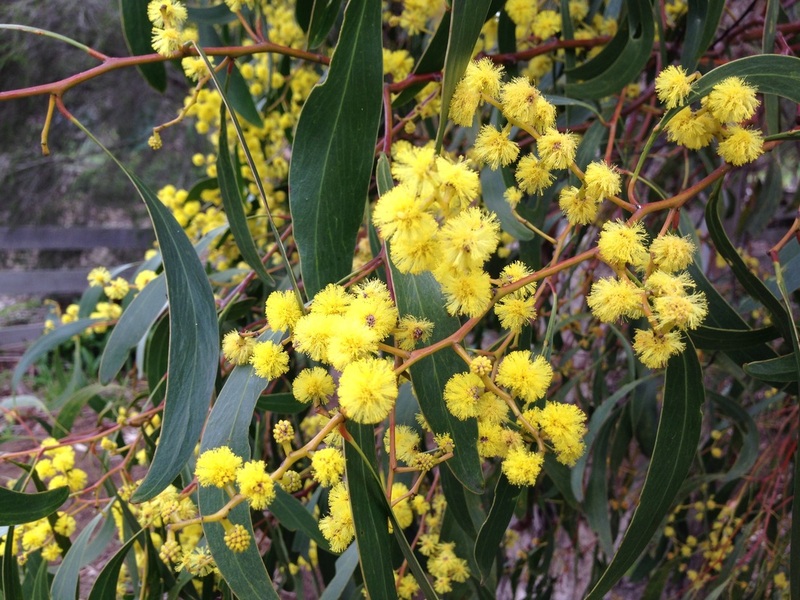 Acacias like this Golden Wattle, Acacia pycnantha are important in sustainable biorich plantations. They add nitrogen to the soil and are a source of quality food and habitat for wildlife. ﻿Sustainable biorich landscapes need only to be planted once, because they are self perpetuating. 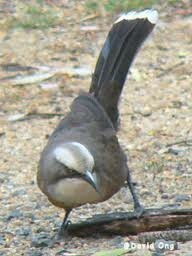 They are rich in biodiversity because they mimic nature. They look like and behave like a natural reserve that has existed for centuries. Imagine a plantation that is teeming with wildlife and where the plants spread their seed and regenerate naturally for 200 years and more, while providing income and useful products for the farm. If we design well, the new plantation should continue into perpetuity just as native woodlands and forests are able to do. Traditional farm plantations usually thrive for the first three decades but then they often break down and need replanting. Sustainable biorich plantations also have setbacks because of wind damage or plant deaths but they recover, becoming more diverse as they change and adapt to an evolving world. There are ten principles of design that are needed to build in this diversity and resilience. These principles can be applied to a small suburban garden or a ten hectare paddock. They can also be used to assess the health of a remnant patch of woodland/forest. 'Recreating the Country - a blueprint for the design of sustainable landscapes' - chapter 2 develops and explains the 10 principles fully - Click here to read more. The end of ch. 2 provides a 'blueprint' to score your design and estimate how sustainable it is likely to be. You can read about the ImLal project at Lal Lal near Ballarat which is demonstration of sustainable biorich design. You can read more about how these principles have been applied to a 15ha of a kaolin mining site owned by Imerys a French mineral company. There are 10 ways to mimic nature in plantation design. The following pages discuss the benefits of each of the design principles listed below. ​Click on the principles below to read more.